Get on board the hydrogen train and learn from an impressive lineup of expert speakers about the promise of wireless rail electrification using hydrogen, fuel cells and advanced battery technologies. Click Here to see the speakers list, sponsors and updates as the conference program is finalized. Converting Diesel Rail Corridors to Electric can be very costly. But using on-board energy storage via Fuel Cells, Electrolytic Hydrogen, and Advanced Batteries can avoid the major costs of overhead wire infrastructure. It can also utilize ‘greener’ off-peak electricity thereby reducing CO2 and NOx emissions while improving urban air quality and operational flexibility. and from an impressive list of experts and international participants. Why a Hydrail Conference ? The challenges and opportunities converge here and now! 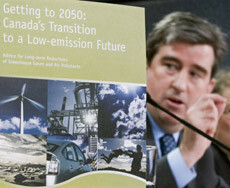 Ontario is planning to electrify key commuter rail corridors in order to reduce GHG emissions, to avoid the cost of diesel fuel, to improve traction performance, to make use of local electricity resources and to improve urban air quality. Want to know more about energy storage technology? Click here for Background and downloads from a recent conference on this topic. 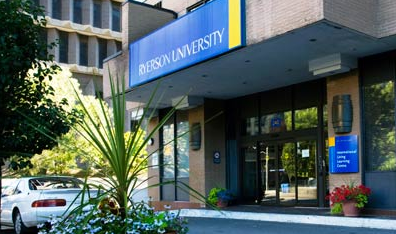 The International Living & Learning Centre (ILLC) on the Ryerson Campus used to be an actual hotel, was bought by the university and is normally an upscale residence during the school year – but Ryerson runs this facility as a proper hotel from May to September. Since it is located in the same complex as the conference venue we recommend this option – and 8IHC attendees get the special conference rate of $85 CND per night (plus tax) which includes full queen bed plus a sofa pull-out, private bath, TV, AC, breakfast and free internet. TIP: Review online availabilities to choose your dates and use the promo code 8ihc to get the low rate. NOTE: For those who would prefer not to stay in a campus facility, but would rather stay in a recognized hotel chain (within short walking distance) we have made special arrangements with the Hilton Garden Inn.